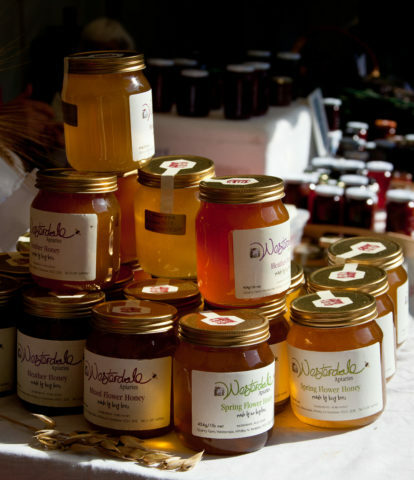 The Taste Trail allows you to relish a series of little samples in a wide variety of food retailers around the city. Buy two booklets for £8 and spend the day exploring. Please note, while this a popular family activity, a minority of the samples are of alcohol. The most substantial hands on learning opportunity at the Festival is the new “Food Factory”. A family ticket for nearly two hours of entertainment is £15. 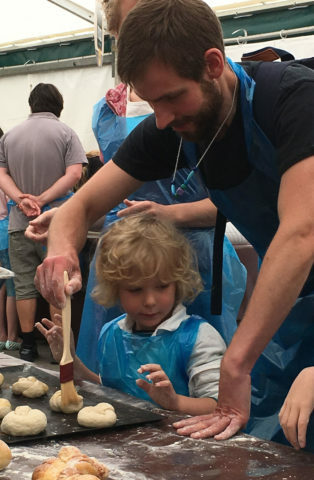 Participants learn to make bread, butter, pasta and ice-cream, preserve fish and make cheese, if that’s not enough the visit is rounded off with a chocolate activity in the York Cocoa Works. The Food Factory is situated on St Sampson’s square alongside the demonstration area and a new pop-up bar and street food area. Explore York collecting tasty recipes from 10 foodie locations. 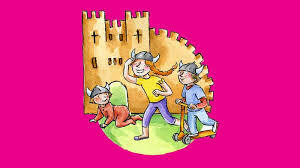 Little Vikings have designed this trail especially for the Festival! 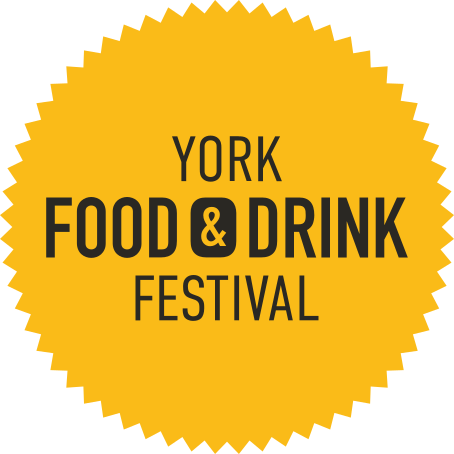 The Festival offers cookery sessions for up to 1000 York primary school children every year. 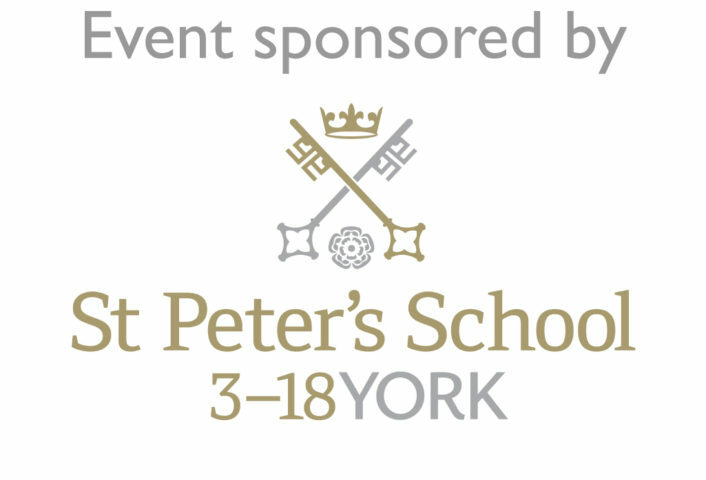 We are grateful to St Peter’s School for the sponsorship of the schools programme. St Peter’s and its junior school St Olaves offer children the chance to discover their passion, in a nurturing environment. With a huge programme of activities, sport, music, drama and art, alongside a challenging academic curriculum, we offer up to 100% bursaries as part of our Help With Fees scheme. Open Days in October and November. 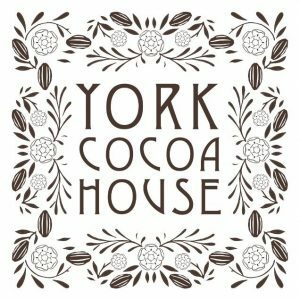 The talented expert chocolatiers at York’s Chocolate Story will be holding live demonstrations throughout the festival. Discover the art of the chocolatier, the sweet history of York and how to taste like a professional connoisseur! Taking a lead from the “Slow Food” movement the “Taste Workshops” are an opportunity to learn more from York’s specialists and experts. 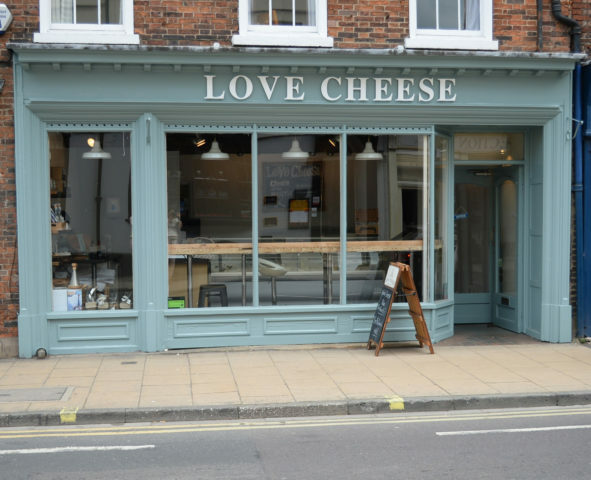 Join Love Cheese as they introduce you to the world of wine and cheese pairing. White wines with crumbly cheese, sparkling wine with soft. You’ll definitely try something new. A Pay-as-you-Feel, ‘Real Junk Food’ demo. Rosie Baker and Bev Hadfield will be demonstrating how to source & prepare a healthy lunch for children & their families. 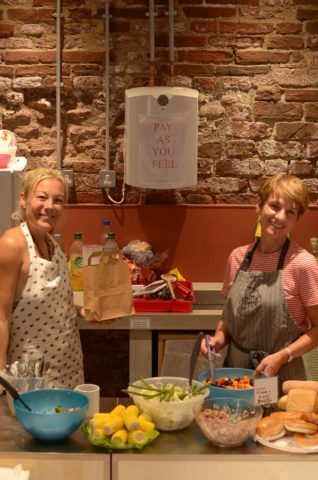 Come after school for a taster of what can easily be made from perfectly edible yet discarded food and hear about what’s being done to tackle food poverty in York. The City of York Council recently passed a motion to tackle this growing problem and Rosie & Bev are also planning the next ‘PAYF/Real Junk Food’ cafe opening in south York soon… Watch this plate! Access to Music will be providing the entertainment this evening by showcasing their talented students. Evie Barrand is an up-and-coming young singer-songwriter from Market Weighton in the East Riding of Yorkshire. Her debut release, “Summer’s Warm” was released in January 2018 and she has recently played at several festivals including Humber Street Sesh, Beverley Fringe Festival and Carfest North for Children in Need. ‘therisnohappyhere’, also known as Eden Lamb, is a local acoustic act influenced by artists like Leonard Cohen and Elliott Smith but raised by punk sensibilities. They have been going for two years with two full albums and a number of e.p’s under their belt offering a wide range of sound from cold and personal to tongue in cheek and sarcastic. Their newest e.p. came out in July in preparation for their third album ‘Burning Bodies in a Hotel Room’. Luke Flear is a 16year old singer/songwriter and multi-instrumentalist influenced by the likes of Bon Jovi, Bryan Adams and Queen. Luke writes material that fits loosely into the pop rock genre and he has been performing throughout Yorkshire in recent months. Lily is a sixteen year old singer/songwriter whose favourite style of music to sing and write is pop/alternative pop. Lily is a self-taught pianist and she has been performing acoustic gigs recently and cannot wait to perform at York Food and Drink Festival. Mollie is a seventeen year old York based singer songwriter who plays electric guitar. She is heavily influenced by the bedroom pop scene and inspired by Mac Demarco, Clairo and Rex Orange County. Mollie has recently performed a successful BBC Introducing session and has material available on Soundcloud, Spotify, iTunes and Youtube. Molly is a singer songwriter who plays piano, guitar and ukulele. She performs a mixture of covers and passionate original material. Beth is a singer songwriter from york who has performed successful gigs at The Fulford Arms, Basement and the Black Swan. Whether performing her original material or covers, Beth guarantees a passionate and entertaining musical experience. Ayesha is a 20 year old singer songwriter who has been playing the guitar and singing since she was 10 years old. She has performed as part of the band, Polaris at venues such as the Fulford Arms and The Basement. All performers are students at the Access Creative College in York. Taking a lead from the “Slow Food” movement the “Taste Workshops” are an opportunity to learn from York’s specialists and experts. Join Peter McKenna for a tutored tasting of Italian Wine. Peter will guide you through this selective tasting of six wines made from entirely native grape varieties, ranging from Piedmont in the North to Sicily in the South. These exciting wines show why Italy rightly deserves the name ‘Enotria’-the land of the vines’. The Chopping Block at Walmagte Ale House, Melton’s and Inside the Bottle are joining forces to bring you an ‘Event in the tent’ in aid of the Brain Tumour Charity and Cancer Research. The evening will include a collaborative three course dinner from Melton’s and The Chopping Block, a live cookery demonstration, and a ‘Call my bluff’ wine tasting hosted by Laura from Inside the Bottle and Cyrus from The Wine Chapter and BBC’s ‘Britain’s Best Home Cook’. All profits from the evening will be split between two charity funds, the Brain Tumour Charity Jon Moss Fund and the Roman Ride. The Chopping Block at Walmgate Ale House are raising money for their good friend and colleague Jon Moss, who sadly passed away in May this year. At the age of 38, Jon was diagnosed with grade 4 glioma in August 2017. They want to raise as much as they can for the fantastic cause that is The Brain Tumour Charity. Jon had a passion for good beer, and you may have seen that he, along with Half Moon Brewery, brewed Jon’s Blonde in February. The beer helped kickstart the fundraising efforts and have been looking to raise more and more since. 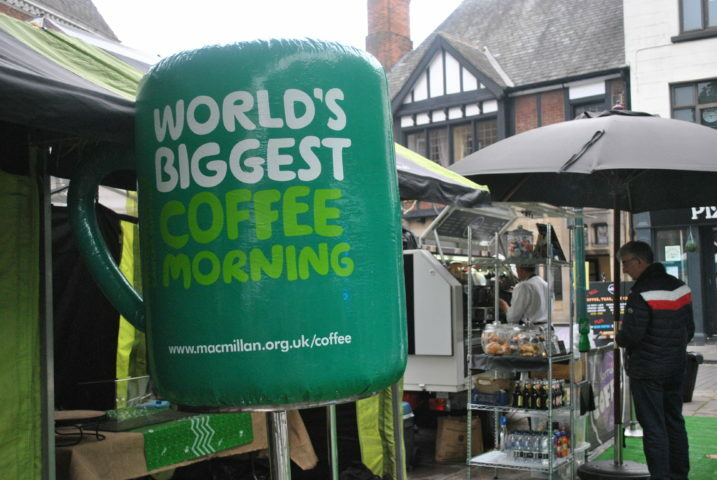 When they heard that applications for the Micklegate Soap Box Challenge were open, they couldn’t think of a better opportunity to get the word out and start spreading awareness of a charity and cause that is so close to their hearts. 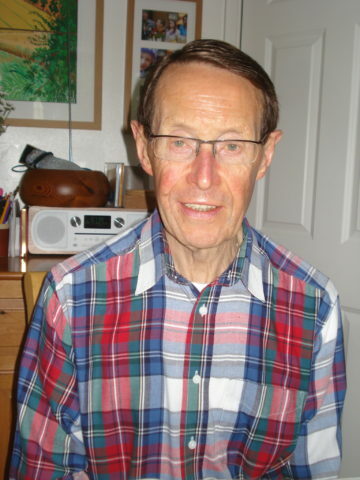 In Jon’s memory, they hope to raise £2000 and help in the fight against brain cancer. On the 21st September 2018 a group of amateur cyclists will embark on a 250 mile ride from York to Bath, over 3 days, to raise money and awareness for Cancer Research and the lesser known illness of Dystonia (Dystonia is an incurable and disabling neurological movement disorder that affects more than 70,000 people in the UK). Join us to celebrate the Harvest season with a screening of the new film Arcadia accompanied by locally pressed cider with traditional English cheeses and bread provided by The Press Kitchen, Walmgate. 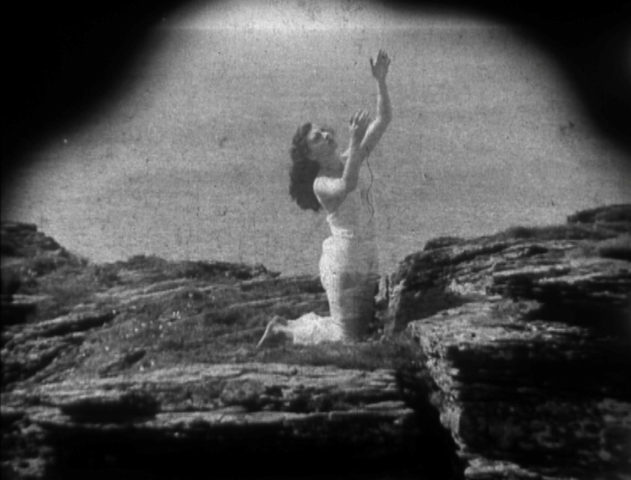 Arcadia gives an exhilarating portrait of the beauty and brutality, magic and madness of rural Britain shown through 100 years of archive footage and complemented by Will Gregory and Adrian Uttley’s expressive score. The film will be preceded by a short set of traditional music from the University of York’s music students.